What does “anointed” mean? Set apart for a special role. Empowered — Holy Spirit comes on that person to give him the power to do the work God prepared for him. With God’s anointing, David became very successful and popular. However, not everyone was happy with David. 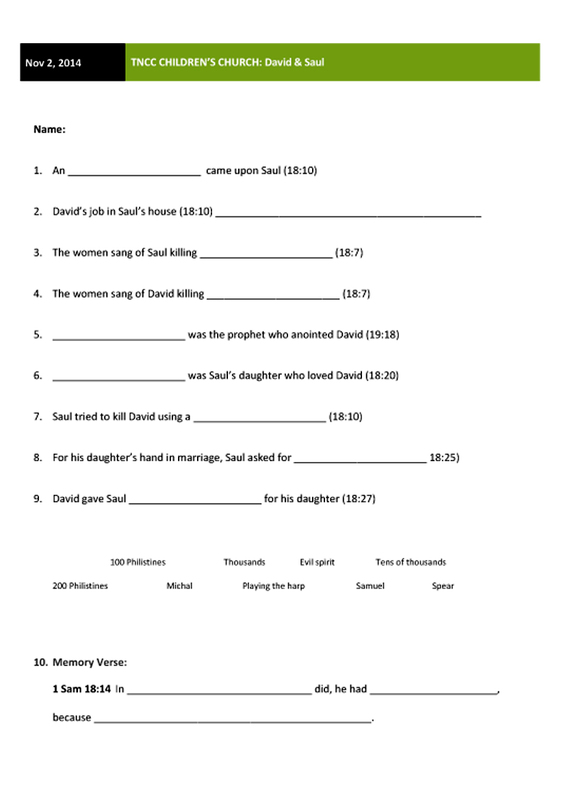 In fact, King Saul hated David. Saul was afraid of David, because the Lord was with David but had departed from Saul. (vs 12). Tormented: After God’s Holy Spirit left Saul, Saul would be tormented by an evil spirit — only David’s playing of the lyre (harp) would make him feel better. But even then, the evil spirit made Saul throw a spear at David (not once … but twice!) and try to kill him. Can you imagine what is it like to be David? Having the most powerful man in the land, the King of Israel, trying to destroy you at every turn? But David was the anointed one — God was with him. God was bigger than the giant (Goliath). And God was bigger than Saul. Protected: Twice, Saul threw a spear at David. Twice, David escaped unharmed. Even when Saul sent David to kill 100 Philistines in order to marry his daughter, David managed to kill 200 Philistines in the time frame! Despite all Saul’s evil intentions, he could not harm David. David was God’s anointed. He was loved, protected and successful in all he did. David met with more success than the rest of Saul’s officers, and his name became well known. (vs 30). Because of Jesus, we are also God’s anointed ones. So we don’t have to live like Saul — jealous, insecure, tormented etc. We can live like David — knowing that God loves us, He protects us and will grant us success in what we do. Memory Verse: 1 Sam 18:14 In everything David did he had great success, because the Lord was with him.